We provide Atlanta basement remodeling and basement design services. Progressive Basement Builders has been finishing basements for 15 years in Atlanta Georgia. Our basement remodeling services are only rivaled by our own ability to design basements. 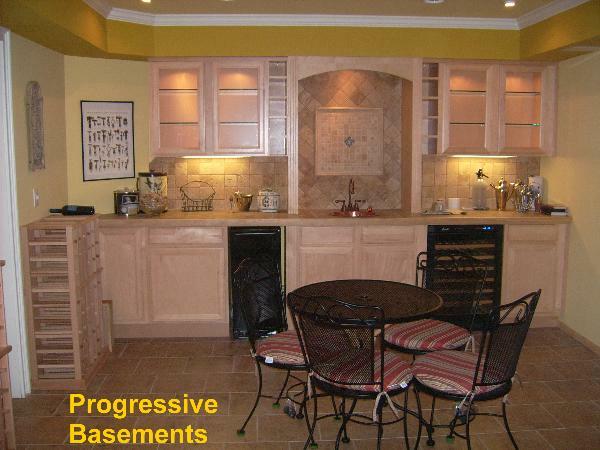 The price range for remodeling basements is large however every basement finishing customer will agree that Progressive provided exemplary basement remodeling services in every case. If your basement finishing budget is reasonable, Progressive Basements can design and finish the basement with to your complete satisfaction. Free basement remodeling estimates are available in and around Atlanta Georgia. Architectural Layout and Design, Blown Fiberglass Insulation, Cellulose Insulation, Spray Foam Insulation, Radiant Barrier, Kitchen Cabinets, Central Heating and Air Conditioning Units (HVAC), Duct Work, Duct Tightening, Sherwin Williams Paint, Mohawk Laminate, Mohawk Carpet, Mohawk Ceramic Tile, Mohawk Porcelain Tiles, Mohawk Hardwood, Mohawk Engineered wood and turn key basement remodels. Our Atlanta home improvement services include basement consultation, basement layout, basement design, basement remodeling, and basement finishing. We finish basements in Atlanta Georgia. 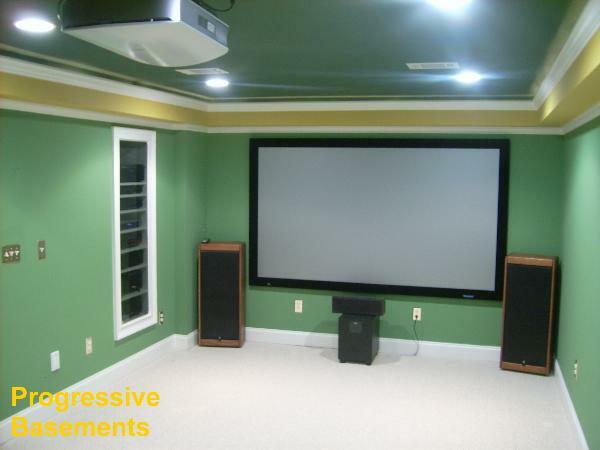 Whether its a basement theater room, basement bar, basement bathroom, basement office, basement HVAC, or a playroom in the basement - Progressive Basements will provide any basement remodel to suit your needs. Progressive Basement Builders uses a basement finishing concept formulated to specifically meet the need of individuals looking for a truly turn key basement remodeling experience. We account for every detail of a basement remodeling project prior to performance to ensure our Atlanta customer's basement finishing concepts become our basement creations. Our Basement Remodeling Process is complete: We provide the basement framing, plumbing, HVAC (Heating, Air Conditioning and Ventilation), Electrical, Drywall, Finish Carpentry (Trim, Doors, Cabinetry) and Flooring (Carpet, Tile, Laminate, and Hardwood). Our Creative Basement Concepts provide technical space planning as well as timeless beauty. Light Years ahead of the next Millennia, Progressive is not like other Atlanta basement remodeling companies. 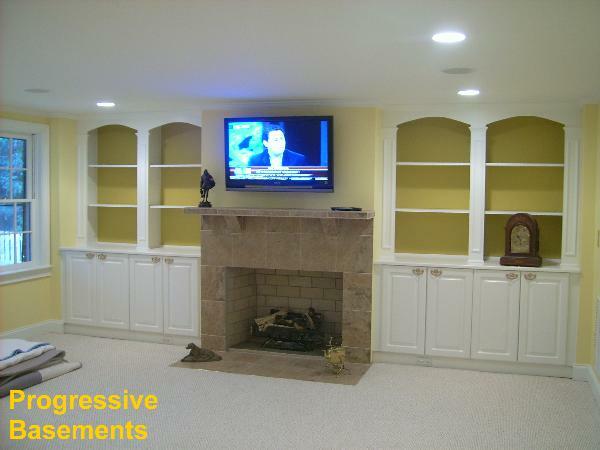 Progressive is a basement finishing company that transforms the basement finishing process into a stress free user friendly basement remodeling environment. We have inserted key individuals into your basement remodeling project that will ensure we finish your basement as seamlessly as possible. We Finish Basements and You Furnish Them!!!! (c) Copyright 2004 - 2010. Basement Remodeling Atlanta. Atlanta Basement Remodeling. Basement Finishing Atlanta. Atlanta Basement Finishing. 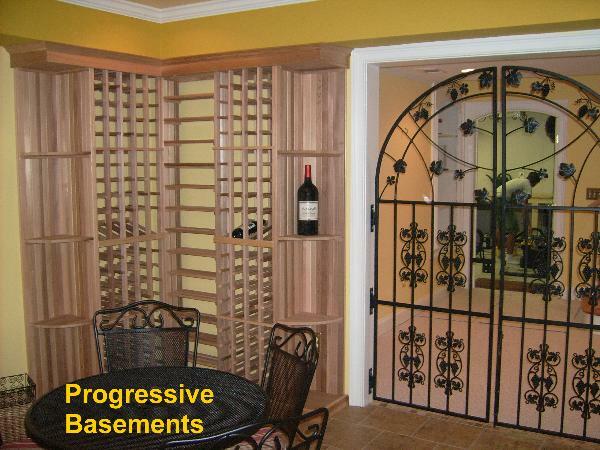 Progressive Basements. All Rights Reserved.